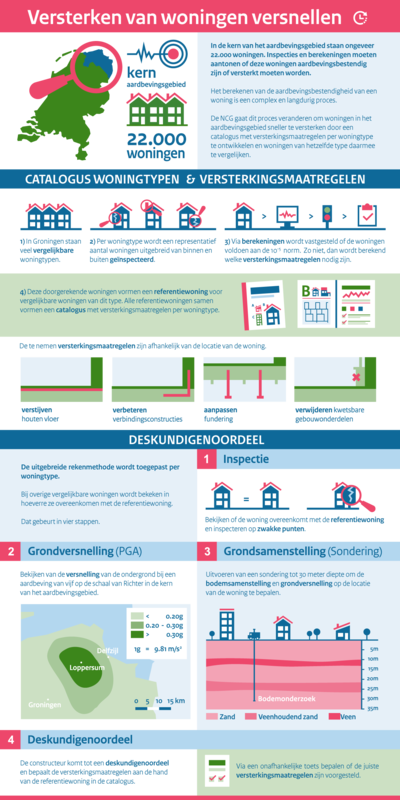 Infographic for the National Coordinator Groningen – Government of the Netherlands. This infographic is shown on their website, at exhibitions and during presentations. The graphic explains a new (speeding) process of house reinforcement in the Earthquake area in Groningen.